From humble beginnings – working out of a two-car garage building custom mantles from home tools – we have built a business based on the support of our customers. Showcasing our ability to create custom cabinets to match our customers’ needs, our business quickly grew into a big operation. Now, after 32-years and all thanks to the continued business from our faithful customers, we proudly continue to provide wholly custom solutions for all applications. George Fuston, proud owner and master builder of G&L Cabinets, built this company from the ground up. Out of his service in the Navy, he discovered his passion and talent for woodwork. Starting off building cabinets for pleasure to use in his own home, George understands the thought and care that goes into the remodeling process. 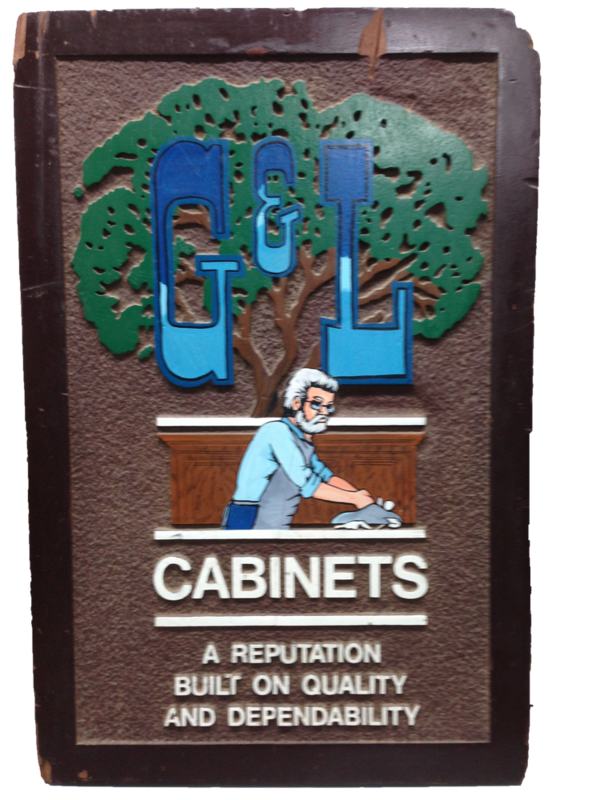 That is why George is dedicated to seeing every job through and to living up to the quality of work that people come to expect from G&L Cabinets. Every cabinet is crafted with your vision in mind. To begin the process, create a cabinet design that works for your space while incorporating your ultimate wish list. Once you have approved the design, we get going on building your cabinets. Sanding, sawdust, and spraying— our favorites! On install day, we prep the space to make the install as clean as possible. Once we bring the cabinets in, if any adjustments are needed we make them on site. Bottom line, our installs are clean, accurate, and professional. We pledge to strive towards perfection in every project, large or small. We will hold quality and your satisfaction with our work as our paramount goals. We will always do everything in our power to be deserving of your trust. We pledge to hand tailor every cabinet to meet these standards. It has always been our desire to help people turn their homes and businesses into their own creations. Thank you for putting your continuing faith in us.